Liver disease, type 2 diabetes, heart disease, respiratory disease, high blood pressure, kidney disease, skin conditions, osteoarthritis. And it is much more dangerous to operate on an overweight cat — these pet cats are more likely to die during surgery. They are less tolerant of high temperatures and are less resistant to contracting an infectious disease. Provide wet cat food rather than dry. Pet cats are natural carnivores and need to eat high-protein foods. 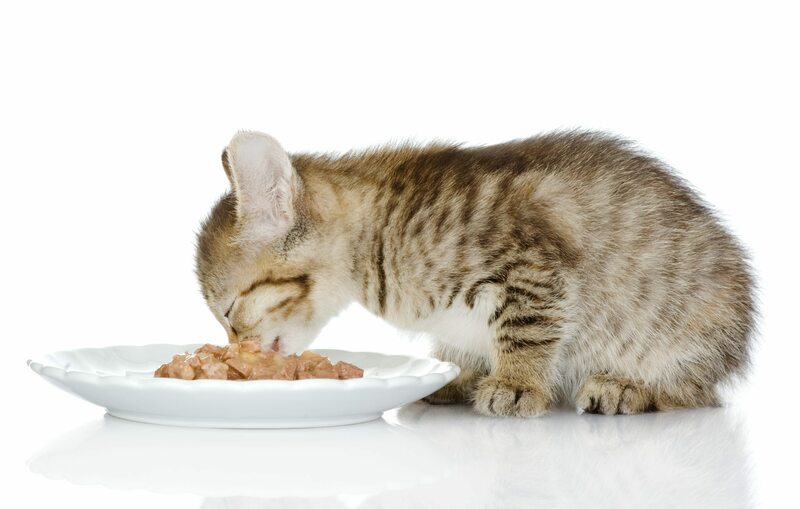 Dry cat foods tend to be very high in carbohydrates, while wet cat foods are protein-rich and contain more water. Never feed your cat a strictly vegetarian diet. Feed your cat twice daily, controlling the portions. The two feedings should be about eight to 12 hours apart. Talk with your vet about the proper amount of food for your cat. Cats with certain health concerns, such as diabetes or tooth loss, might require different feeding approaches. Create a plan if you have multiple cats. Having more than one cat can make feeding challenging, especially if you have one cat that eats the other’s food or doesn’t like to show up at the same time for scheduled meal times. Talk with your vet about ways to feed all your cats the right way. Skip the milk. Contrary to popular belief, milk can be bad for cats, according to the Cornell University College of Veterinary Medicine. Many cats are lactose-intolerant, which means that they lack an enzyme necessary to break down the lactose in milk and can vomit or experience diarrhea from drinking milk. And if they have a balanced diet, they do not need anything from milk. Instead, provide plenty of fresh water, cleaning and filling their water bowl daily. Play with them often to increase their activity level. Laser pointers or Cat Dancers are toys you can use to really rev your pet cat’s engine. Challenge them to find their meals and treats. Feed them far from where you usually hang out so they get exercise as they seek their bowl. Similarly, if you want to give treats, provide small tidbits — but hide them as a challenge to your cat. Give them their own toys. Offer plenty of active toys that cats can play with by themselves.